BrainFizz - Routing, Making, Custom projects & Training. : Project previews for 2014: A sneak ahead for season 2 YouTube videos, and YOUR OWN INVOLVEMENT!! Project previews for 2014: A sneak ahead for season 2 YouTube videos, and YOUR OWN INVOLVEMENT!! OK, So as I definitely mentioned the other day, the roof is absolutely the priority for this year in terms of jobs to do, the wonderful English weather has turned to rain, and it's also quite windy so the leaks are "significant". Bitumin paint, silicone and some adhesive flashing will be the bulk of the solution, as well as a section of new timber. but more of that as it happens. 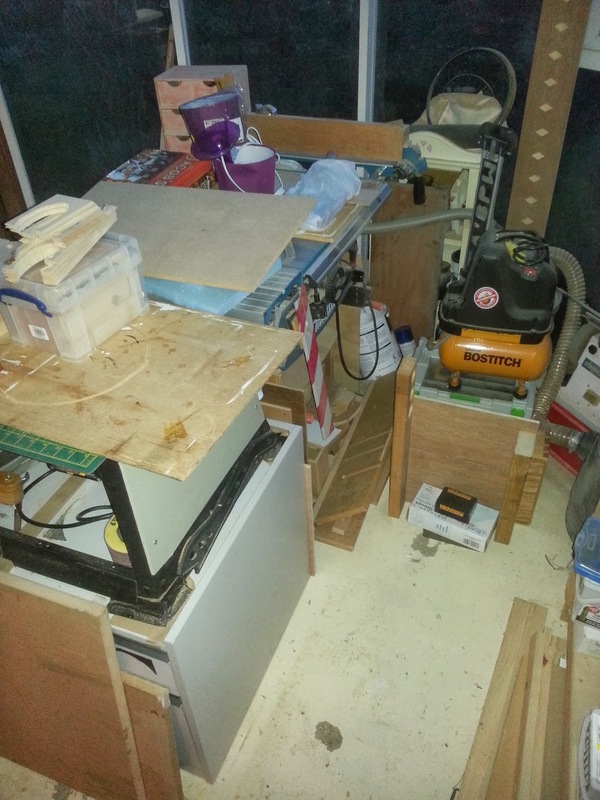 I pretty much closed the doors to the workshop over the Christmas break, and never tidied up much of the "stuff". to keep things tidy as best as I can - It makes the place seem bigger, and helps me move around. Problem being that many things were also "stored" in there to make space and tidy else where for guests etc. Another reason to tidy up after each project(s). 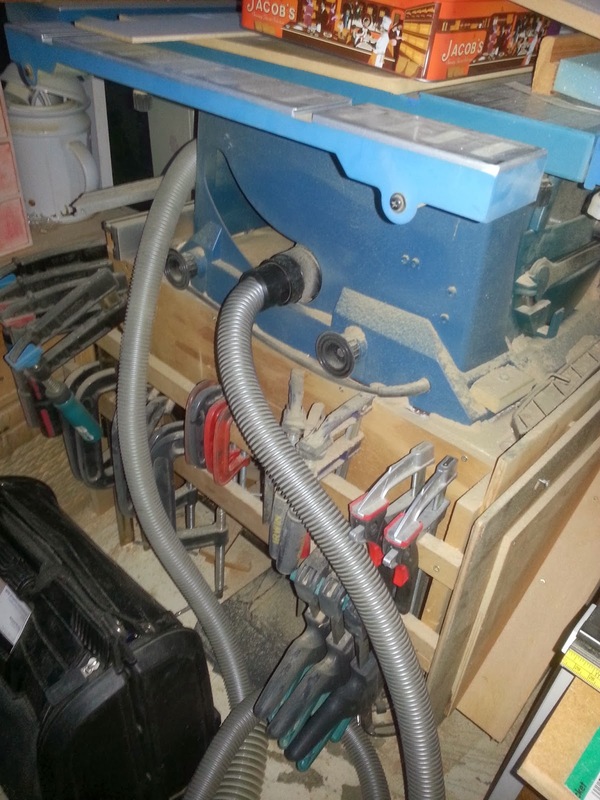 On my return today, I found a new place that needs sealing today, 'conveniently' it's right above the pillar drill - you can see the damp patch on the right hand side if the table. I knew about this leak, and made a temporary fix during the summer, it's better than last winter, but obviously needs a permanent job doing. I'm not overly bother about the size of the leak as it's pretty slow - there's been some serious rain, but mostly because, I plan to upgrade the stand it's currently on.........This is where you all come in! I'm not in the habit of "designing" things, I like the "have a rough idea in my head, a pile of wood & and dive-in with both feet kind of approach to shop builds. But I would really like you all to send in pictures, links to YouTube videos, yours or ones you've seen, and post them to my Facebook Page. These will be shared across the community, Facebook, keek google+ etc. and those ideas used will get a mention in the final video. 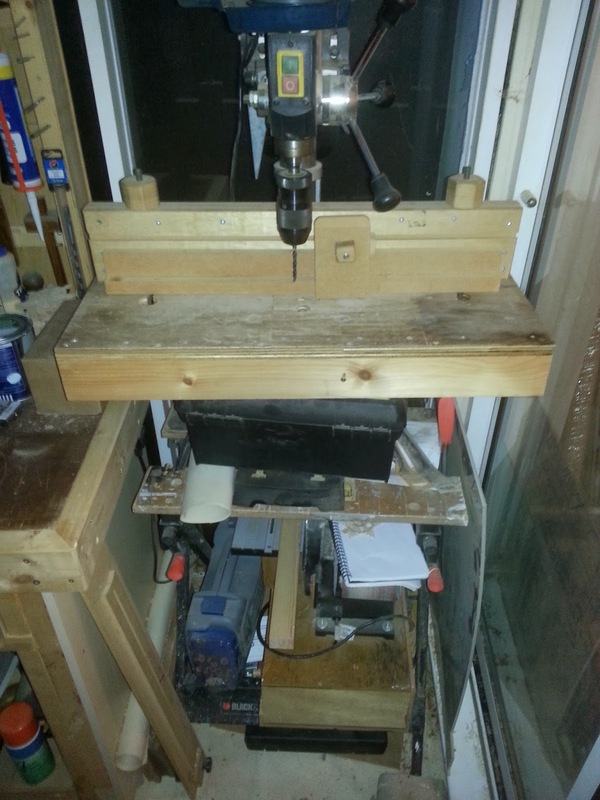 Same height as current work bench (I want to raise it up a bit). 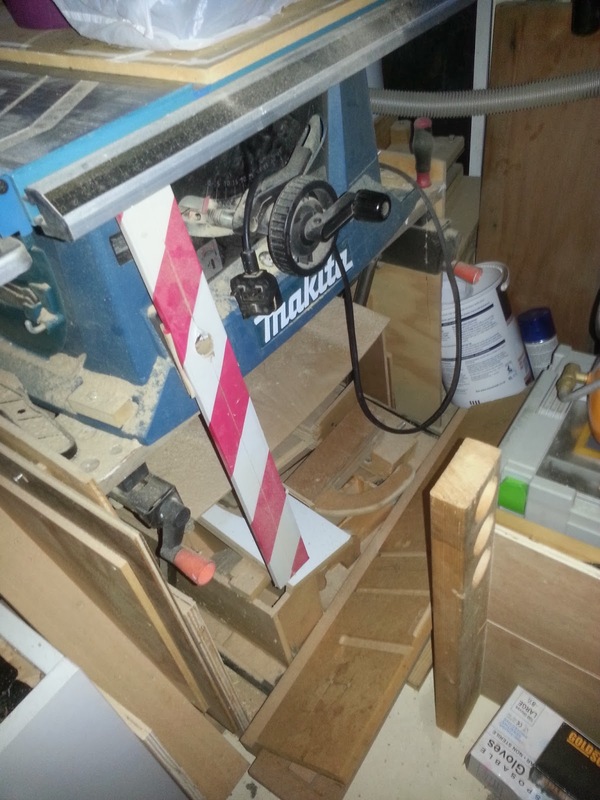 The same is true for the table saw stand. It's another workmate. This if fine as a stand, but the dust is terrible, and the storage even worse. I covered the sides of it with scrap ply, but this is only good for hanging things on. Same height as it currently is. An extesion table to the rear, (fold down, which is a down-draft table). And be enclosed to keep the dust down. So send me your ideas! And comment here! Happy new year to all, and stay tuned for season 2!! Don't forget to check out season 1 of woodcraftBPW on YouTube, and support woodworking creators by subscribing, sharing and sending in your pictures! All donations gratefully received, and every one gets a mention!